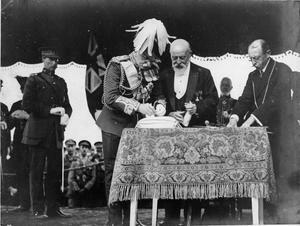 Field Marshal Lord French presenting the Military Cross to the city of Ypres in 1920. 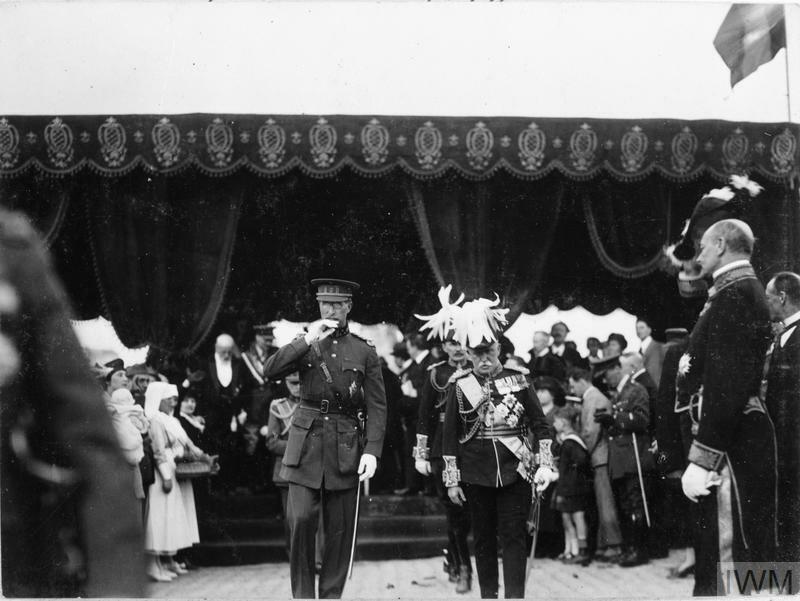 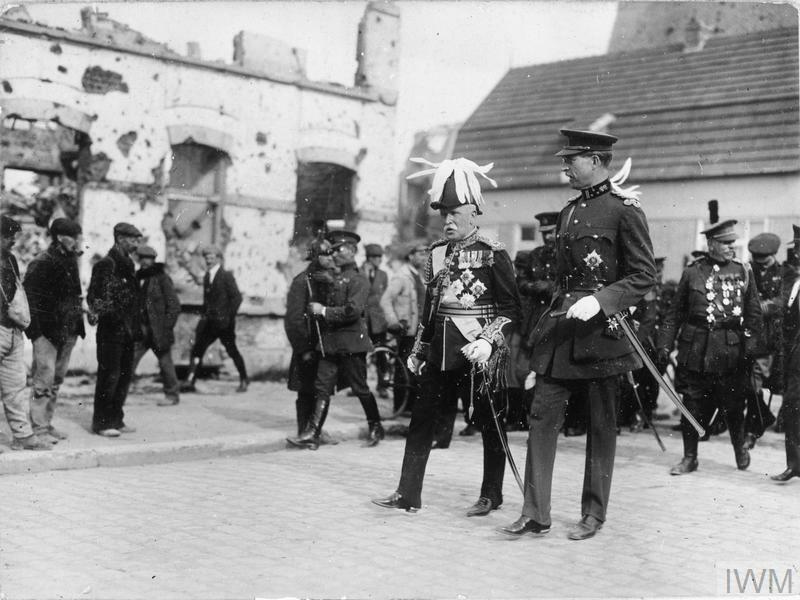 LORD YPRES WITH KING ALBERT OF BELGIUM IN YPRES. 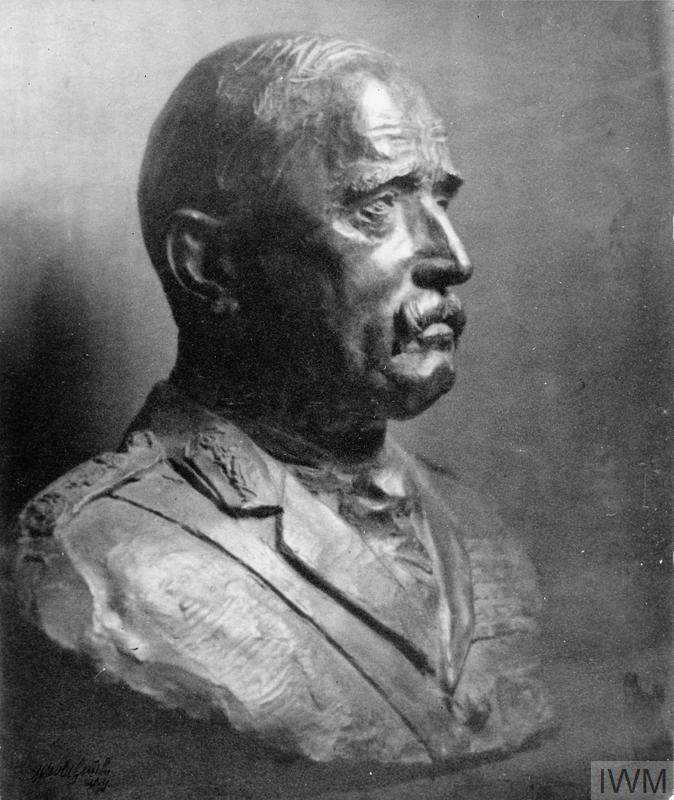 A BUST OF LORD YPRES.